Founded in 1961, this museum is one of the leading institutions in the country dedicated to traditional and contemporary American folk art with a collection of more than five thousand works. Pictured: Show Quilt with Contained Crazy Stars, Unidentified member of the McAllister family, Barnstead, New Hampshire, 1885-1920. 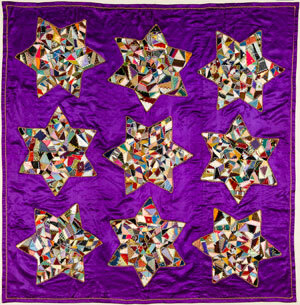 From the collection of the American Folk Art Museum, New York. Photo by Gavin Ashworth.